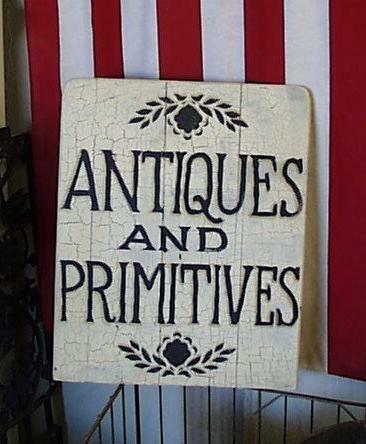 We have created Antiques signs for dealers throughout the United States. 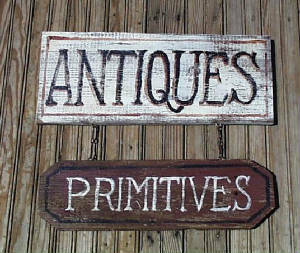 These signs can be personalized with your business name, or may just state "Antiques" or "Primitives" or both. Many of our customers have a small shop or booth in a mall and would like to draw attention to their business. 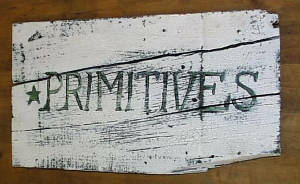 A sign from Old Czech Country can do just that.